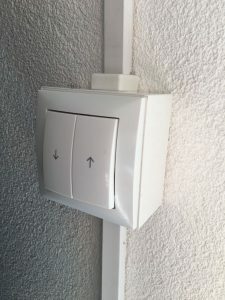 I have made a Fibaro Roller Shutter 2 in a box on the wall. created the following code for automated sunscreen. it is still a little bit rough but it is working ok. It is based on the Dutch Buienradar data. Used some Berker push buttons for manual control.